Life with Aspergers: Why Do I Allow Offensive Comments on this Blog? Why Do I Allow Offensive Comments on this Blog? 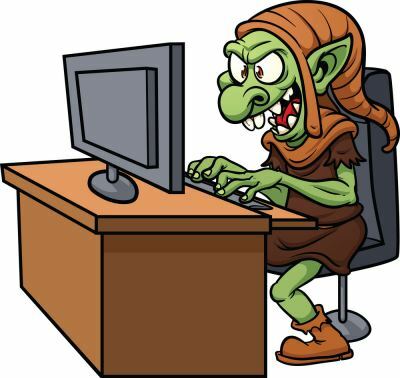 I'm often asked, since I moderate comments on this blog (require approval before posting), why I allow comments which are harmful but block some comments which fight back. Surely here, of all places, I should be standing up for people, like myself who are on the autism spectrum? It's a good question and it’s one that I still struggle with constantly but I thought it would be worth posting about because it says a lot about me, about my intentions and how far I will go to ensure that the messages are understood. First of all, one of my aims in comments is “protection”, so any comments which mention email addresses, surface mail addresses or phone numbers (of individuals) will automatically get blocked. It's simply too dangerous to post these things. I've had people on the spectrum leave comments about loneliness and their hope that someone nearby will connect with them - and then they leave personal contact details. This is downright dangerous. The proper place for those sort of interactions are via PMs (personal messages) on message boards such as WrongPlanet.net. I also block comments which explicitly attack individuals, particularly other commenters. Sometimes these comments can be really nasty and hurtful but more importantly, they can lead to legal trouble. It’s one thing for a commenter to generalise about a group of people (which is bad enough in itself). It’s another thing entirely when they attack a specific person. This is one area where things don’t look so good on the blog; A typical scene goes like this…. Person X says something bad about everybody on the spectrum - and that comment is allowed because it’s a general one. Person Y says something in defence of people with autism but specifically targeting person X.
It’s a good comment and it's something I believe in but suddenly I have to block it because the poster has broken a major rule of engagement. It's really frustrating. The other group of comments I regularly block is advertising; particularly spell caster advertising campaigns which prey on weak and/or emotional people. Basically everything else is allowed provided that it is on-topic. In particular, I allow comments that I disagree with (and often restrain myself from commenting on them too). This is an intentional attempt to keep the material here balanced; to make sure that my own point of view doesn't dominate the comments. I'll even allow a small amount of "trolling" through -- at least until it becomes obvious that a poster is trolling. Sometimes commenters manage to change my mind about things, sometimes they widen discussions, draw parallels or contribute to new theories or new posts. I love those kinds of comments. Sometimes when someone attacks a post, they play the "devil's advocate" and expose weaknesses and holes in theories or perception. Knowing about these can often allow you to strengthen future arguments. Finally, and probably most importantly; people with Asperger's syndrome, myself included tend to be a little naive. I certainly like to believe that the world is full of good people -- and for the most part, my particular little world is. Every now and then, I get a comment (or a real-life experience) that reminds me that the world has teeth ... and that's a good thing. I want the world to see what we (the people on the autism spectrum) are up against. If we're constantly suppressing the bad comments then nothing gets discussed and it becomes hard to explain to others that, as a group, we're frequently bullied. I like to think that I am a compassionate person and I would love to remove the "hate speech" from my comments section but it's too important in highlighting our struggles to remove. I'm not sorry that it offends people because it deeply offends me too. It needs to offend us. If some of the negative comments get you riled up, then that's great because it means that you see them for what they are and you're seeking social justice. It's good because you're going to need to defend yourself for the whole of your life from these kinds of attacks. I can't agree with you more. You and your blog inspire me a lot. You have a very good point.I always love whatever you write.